Part of Cesari Werner and Moriarty’s second generation, Sean launched his legal career serving as a paralegal to the firm in 1995, while still attending law school at University of San Francisco. He had previously received his B.S. in English, with minor in Business Administration, from UCLA in 1994. He was admitted to the State Bar of California in 1998. 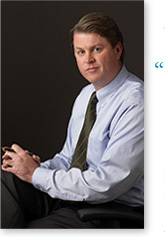 Between 2001 and 2006, Sean served as trial attorney to U.S.A.A. Staff Counsel San Francisco. In 2006, he resumed his legal career with CWM. Sean and his wife, Tara, live in Daly City with their children, Reilly, Shalinde, and Carrick.